Announcements – 2017 – Olive Branch Lodge No. 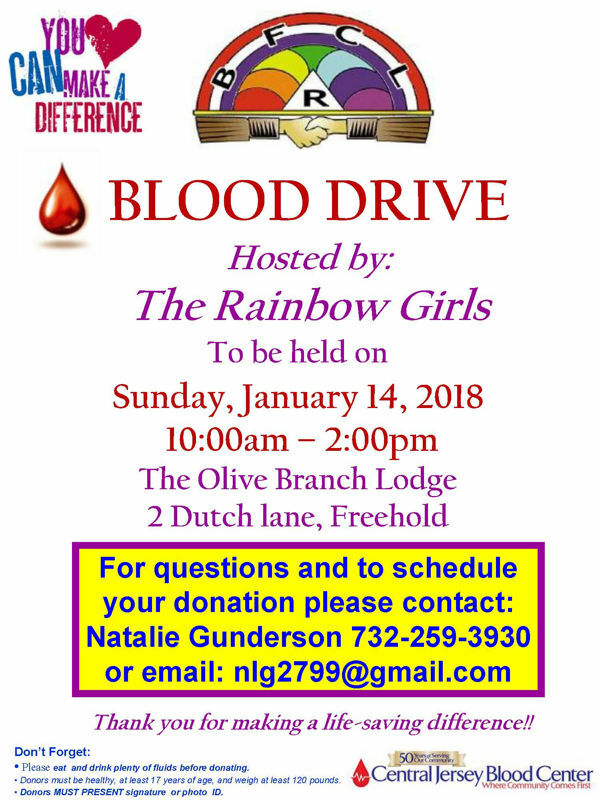 16 F. & A. M.
Please find flyers for the Rainbow Girls Blood Drive (Jan 14th) and Spaghetti Dinner (Feb 10th) at Olive Branch Lodge. 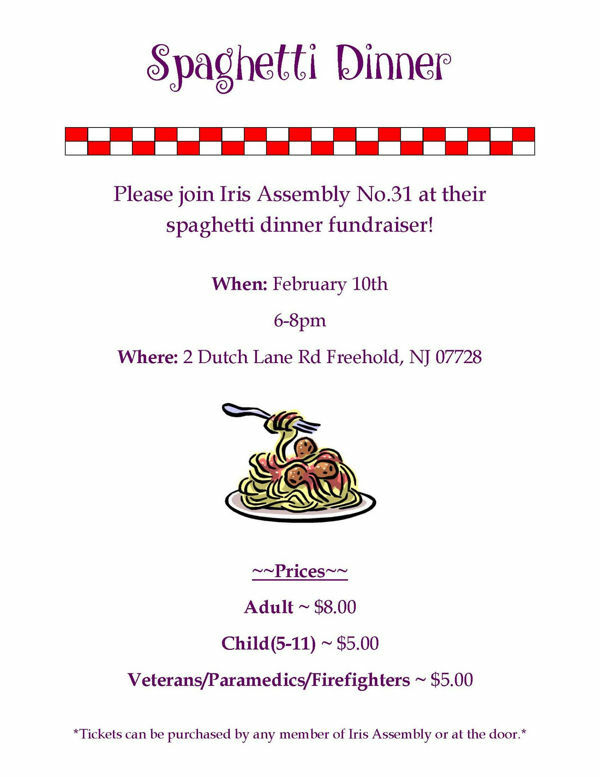 If you can attend, please come out to support the IRIS Assembly as they come out to support us. Please join us on December 16 as we bid farewell and thank you to the Officers of 2017 and welcome and install the Officers of 2018. 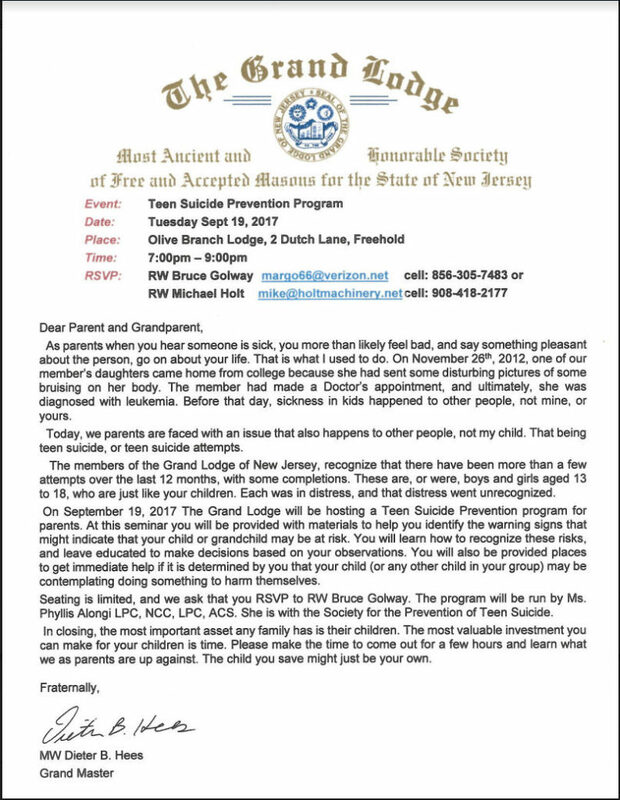 This event is open to all Masons, their families and friends. 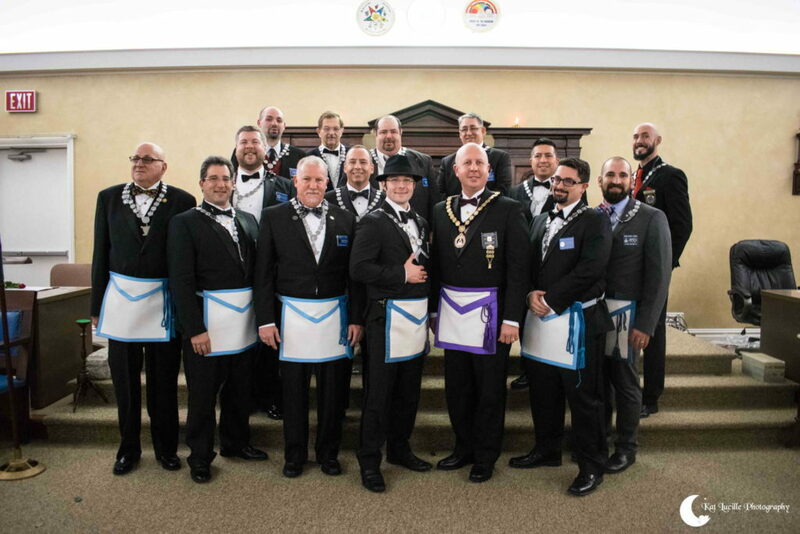 All incoming and outgoing officers should be in tuxedo or dark suite/tie combination. 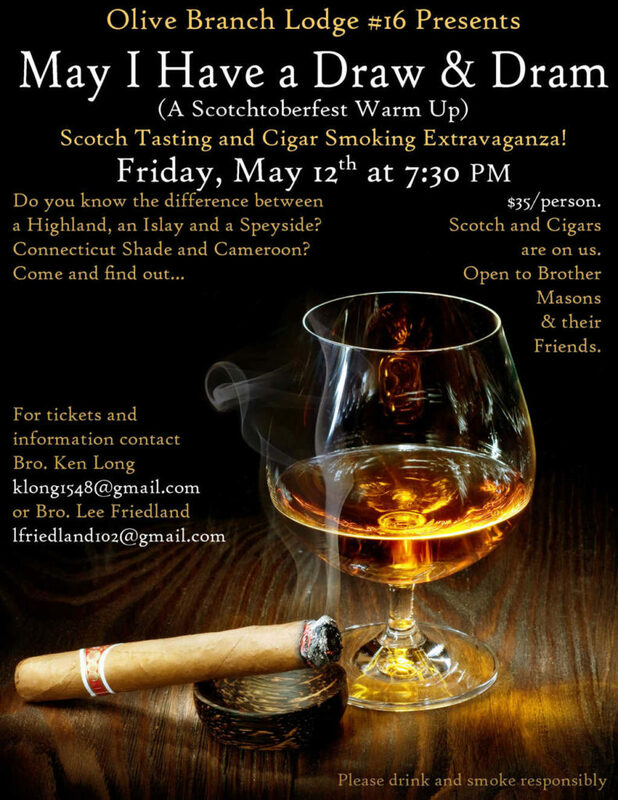 Business Professional attire is highly requested for all other Brothers and guests. 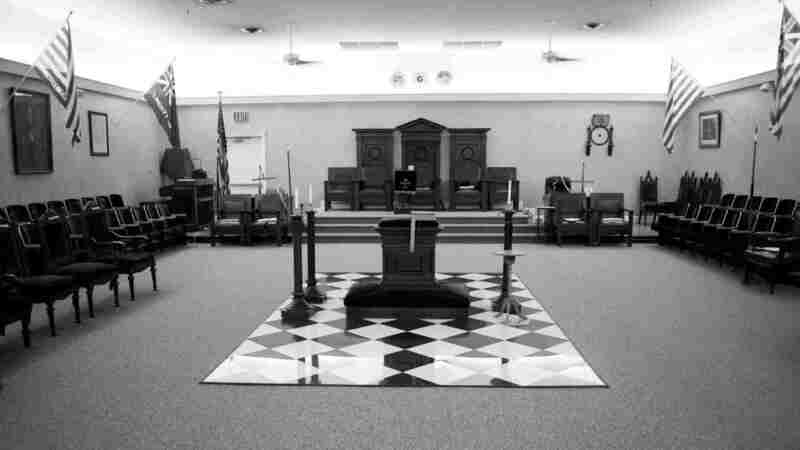 Fellowship @ 5:30PM, Dinner @ 6:30PM, Installation @ 7:30PM, Additional Fellowship to follow. Please find December’s Trestleboard and Master’s Message! From all the Officers at Olive Branch Lodge #16, we wish you and your families a very happy, healthy and prosperous holiday season and New Year! 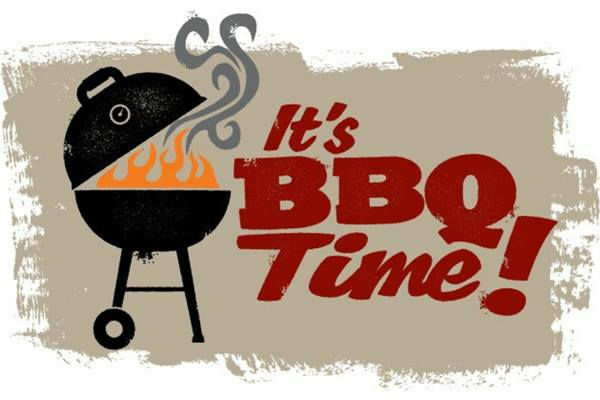 Please join us for our end of summer BBQ at the Lodge. This is a free event open to friends and family. If you like to bring a dish or dessert, food donations are always appreciated! Hope to see you there! See event details for more information! Check out the Secretary’s Desk in the Member Resources section for the latest Olive Branch Lodge ByLaws (must be logged in). 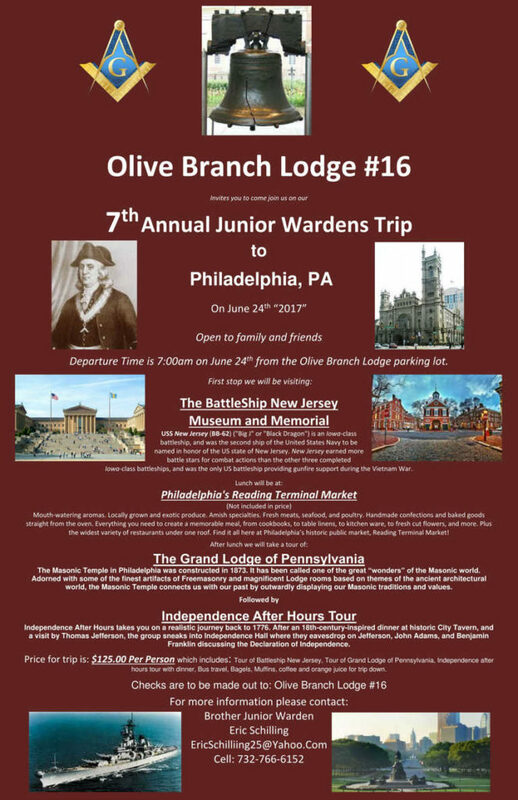 Brothers, please join us for our 7th Annual Junior Warden’s Trip to Philadelphia, PA on Saturday, June 24th, 2017. Please see our event page for more details! Congratulations Chief Tim Carson of the Jackson Fire Department. 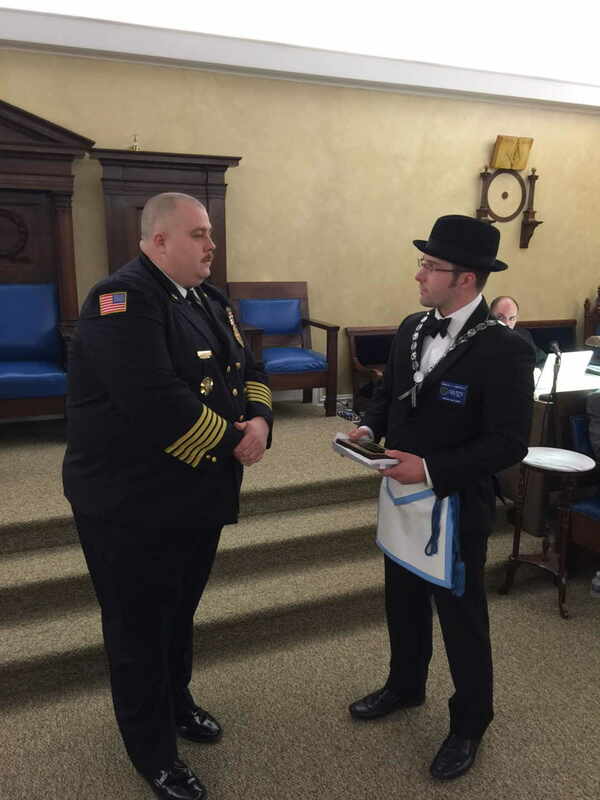 2015’s 17th Masonic District’s First Responder of the Year Honoree! Check out the gallery for more pictures. Join us on January 24th as Vincent enlightens us with a lecture on the Kirkwall Scroll. Vincent is a published author and serves in various Masonic Bodies. His passion for learning has earned him the title of Companion Adept of the Temple, YRSC. 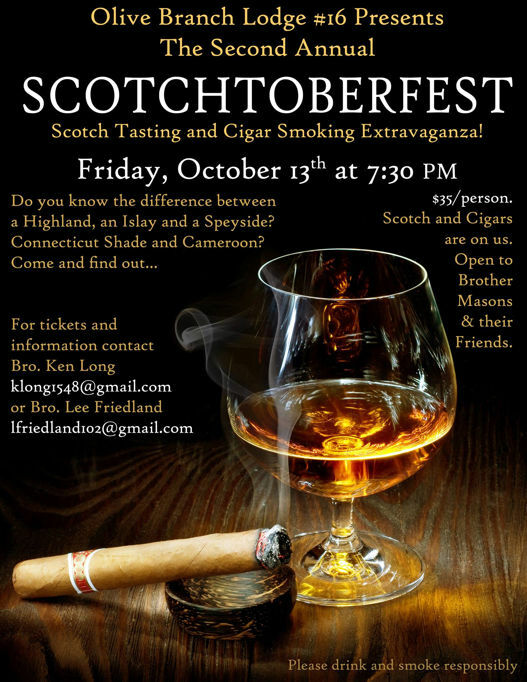 For details of the event, check out the events calendar.